Product prices and availability are accurate as of 2019-01-13 13:42:49 EST and are subject to change. Any price and availability information displayed on http://www.amazon.com/ at the time of purchase will apply to the purchase of this product. This Planer cuts 6-3/4" in a single pass and features a powerful (10.9 AMP) Makita motor. It has comfortable handle and easy depth settings and a large, sturdy sole plate for added stability. 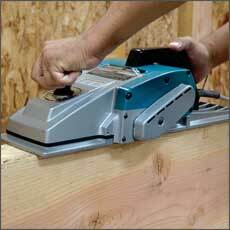 The Makita 6-3/4-Inch Planer, model 1806B, delivers power, cutting capacity and ease of use. It is ideal for professional construction framing, window and door installation, and fine woodworking. The 1806B features a 10.9 AMP motor, with a two-blade cutter head and 15,000 RPM for increased stock removal. 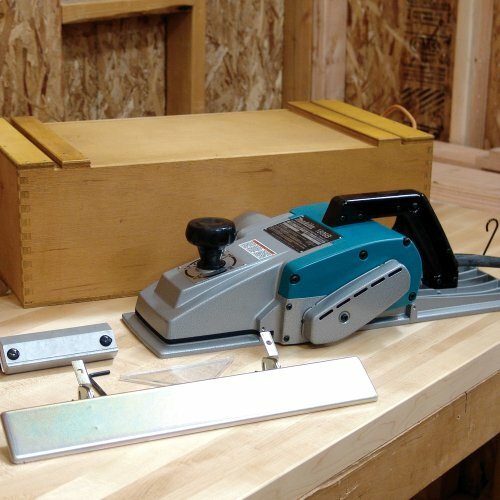 The 1806B is equipped with high-speed steel planer blades for added performance, and can plane up to 6-3/4 inches wide and 1/16-inch deep in a single pass. The 1806B is engineered with a precision machined aluminum base for planning accuracy. The 1806B features a comfortable handle and easy depth settings, and the front and back grips are perfectly aligned for improved comfort. The large, study sole plate is engineered for added stability, with a lock-on button for continuous operation. The 1806B is engineered for professional construction framing, window and door installation, and fine woodworking. The 1806B is just another example of Makita's commitment to innovative technology and best-in-class engineering. 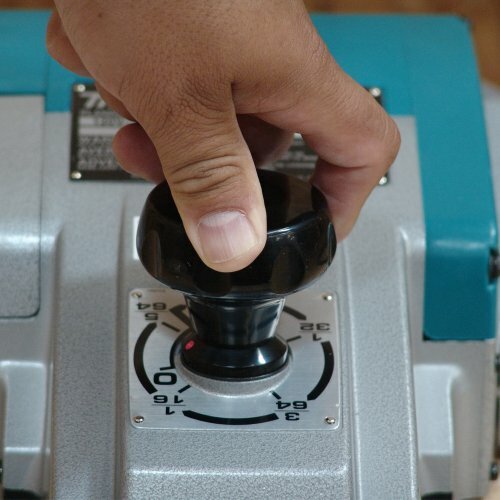 Makita delivers precision, accuracy, capacity, and innovation to woodworkers. 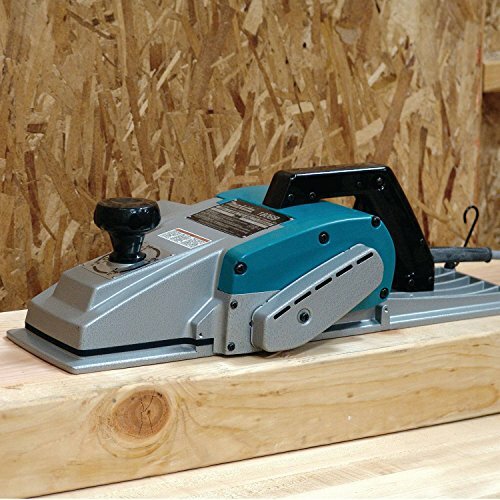 Makita has full range of miter saws, jig saws, circular saws, routers, planers, sanders, nailers and staplers, blades, compact cordless drills and impacts, and more. Makita's woodworking solutions are engineered for pro contractors, for use in high production settings and in home shops. Makita 1806B 6-3/4-Inch Planer, sharpening holder assembly, wrench, guide rule, triangular rule, blade set and wooden tool case.